Give to the Roadrunner Pantry today! According to the U.S. Department of Agriculture, the food insecurity rate in Texas is above the national average and ten percent of clients are self-identified college students (3 million students) with food insecurity and need (Feeding America, 2014). The Roadrunner Pantry is a direct response to the need among our student population for more resources to fight food insecurity. UTSA students may find themselves in financial distress because of unforeseen living and college expenses, and must sometimes choose between paying bills and providing nutritious food for themselves or their family. The pantry operates solely on donations from the campus community. Through a self-selection model, students are allowed five multi-meal food items providing supplemental nutrition support for up to a week. Since opening in March 2017, the Roadrunner Pantry has served 1186 students. To date, the pantry has received 6,904 pounds of food donated by the campus community and has distributed 5,181 pounds of food to our students. This initiative strives to support our students the resources they need to excel academically. Your contribution will help fight hunger on our campus. 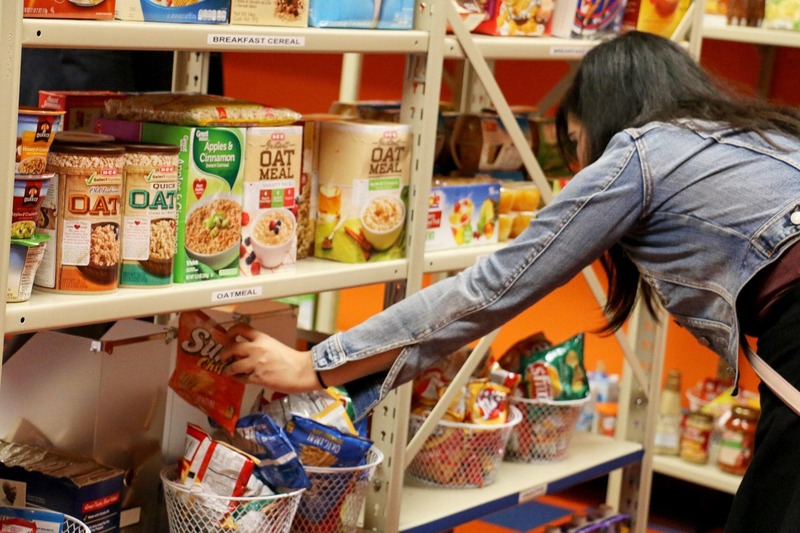 Help The Roadrunner Pantry prepare for the fall semester with a donation today. The Roadrunner Pantry is open to all students in need with a valid UTSA ID. Food and non-food items are limited to 5 items per day. For more information and hours of operation of The Roadrunner Pantry, visit our website.